TrustedCleaner is an independent service to help you find a professional, reliable and trusted carpet cleaner in your local area. Only businesses who show us they are highly skilled, experienced and committed to customer service make the grade. Use the search box to find a shortlist of the highest rated carpet cleaners in your town or city. Below you’ll find links to our city / town pages where you’ll find full details of the shortlisted carpet cleaning companies in each area. Find out more about our strict verification process below..
View our selection process and read our customer charter. 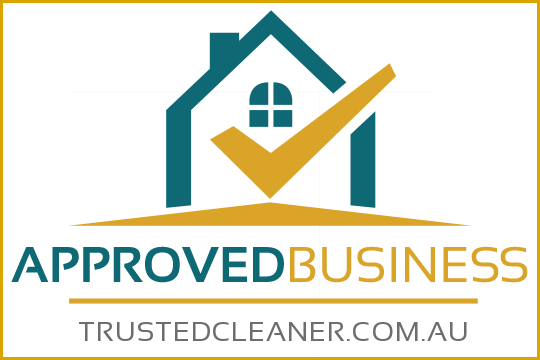 Only the best business receive ‘Approved Business’ status, so when you see this logo you know you’ll be dealing with a professional, reliable and experienced local carpet cleaner. Whilst there are many professional carpet cleaners operating in Australia, there are also many untrained / unskilled operators who you’d be wise to avoid. The carpet cleaning industry is unregulated, and anyone can purchase equipment and call themselves a carpet cleaner. These ‘dodgy traders‘ are usually unskilled, provide poor customer service and may use deceptive pricing tactics to hook you in. What do their website & marketing materials say? Is their marketing all about low prices, or do they focus on their reliability, customer service and quality? How professional are they when you give them a call? Are they friendly and happy to offer advice? Do they sound like they are passionate about what they do… or do you have to wait days for a call back and end up feeling like you are doing them as favour? What is your gut feeling? Go with your gut and if it feels too good to be true, or you have a nagging feeling something isn’t quite right – walk away. Steam carpet cleaning is also known as ‘hot water extraction’ and steam isn’t actually used in the cleaning process! 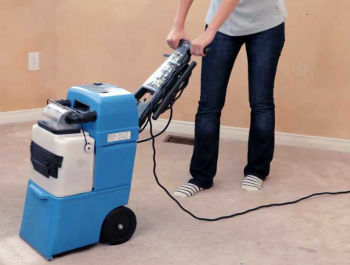 This method involves spraying hot water on to the carpet & then immediately vacuuming it up using a powerful portable or truck mounted machine. Most carpet cleaners use a range of chemicals either mixed in to the water or added directly to the carpet to loosen dirt. Many carpet manufacturers recommend the steam cleaning method because it is safe for most fabrics, and ensures a deep clean. However because water is used in the cleaning process the carpet must be left to dry, usually for several hours. Encapsulation cleaning is a complex method that uses a rotary machine to apply a chemical detergent. It uses a very small amount of water and the carpet is usually safe to walk on within 20 minutes. Bonnet cleaning is a more traditional dry carpet cleaning method and involves a chemical pre-spray and the use of a rotary scrubber with a bonnet pad. The loosened dirt is then vacuumed off the carpet. The answer is it depends! Many experienced companies use both processes because sometimes one is more suitable than the other. 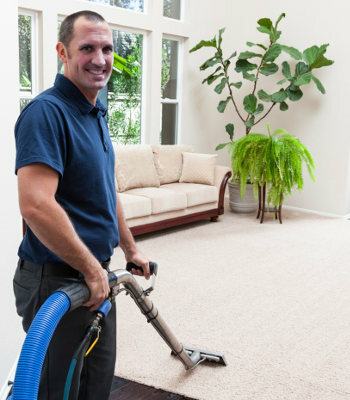 In general, for residential customers, steam carpet cleaning is going to get you the best result. However for commercial customers who have offices, retail outlets or other buildings where it’s not possible to close off the area to allow carpets to dry properly, dry carpet cleaning maybe more suitable. 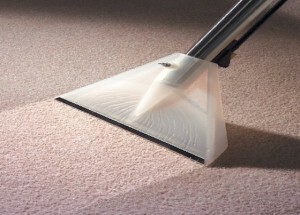 Carpet Cleaning Prices: How Much Does Carpet Cleaning Cost? The cost of carpet cleaning varies on a number of factors including the quality of the service, size of your rooms and methods used. Remember you usually get what you pay for, so when you see a ‘too good to be true’ special offer – you need to be on your guard. Some companies in the industry use ‘bait and switch’ pricing. They lure you in with a special offer and then use high pressure sales tactics to ‘upsell’ you on additional services. Get a firm quote before going ahead, and make sure to compare the quote with other reputable companies in your local area. To get your carpets cleaned by a qualified, experienced and accredited technician using commercial-grade equipment, and the latest chemicals you will usually pay between $30 & $60 per room (depending on the size & condition of the carpets). 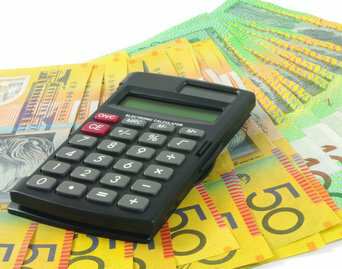 If you have a 3 bedroom home expect to pay between $175 and $250 for a quality clean. There may be extra charges for spot cleaning of stains, additional treatments or carpet protection chemicals. Large rooms maybe charged as two rooms, and stairs usually have a fixed price. A minimum charge may apply (usually two rooms or more). 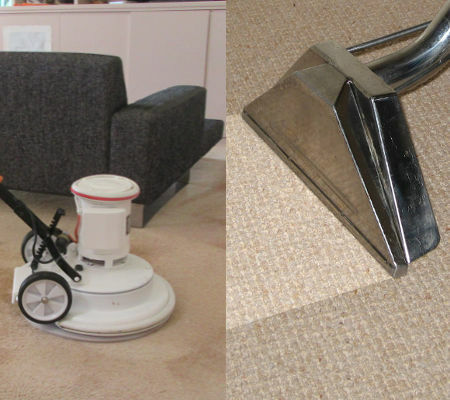 DIY vs Professional Carpet Cleaning: What’s the Difference? Whilst it is possible to buy, or hire, a carpet cleaning machine and clean your own carpets, you will get a much better, and longer lasting result if you hire a professional carpet cleaner to do it for you. Professional carpet cleaners use very expensive equipment (a truck mounted carpet cleaning machine can cost over $20,000) and have access to the latest chemicals, and cleaning processes. An experienced and qualified technician will also know what processes, chemicals and techniques to use on different fabrics and types of stains to ensure a deep-down clean and great result. However if you only need a light steam clean, perhaps to pass an end of lease cleaning inspection, then a basic rented domestic machine maybe all you need. Want to know more? Choice.com.au have put together a detailed guide to the different available options. Don’t hire a carpet cleaner until you’ve read our guide. In our short practical guide you’ll discover everything you need to know to find professional, skilled and reliable carpet cleaning company.